Malmo FF and MOL Vidi will square off in the Champions League third qualifying round on the Champions path, and the first leg will be played on Tuesday in Sweden. Malmo reached this stage after defeating Drita from Kosovo 5-0 aggregate and CFR Cluj from Romania 2-1 aggregate. The Swedish side is only 6th in the league after 16 rounds, but that is only due to a very poor start to the season. After hiring Uwe Rosler as manager in mid June the team has been in excellent form, posting 6 wins and 2 draws in 8 games in all competitions. They are undefeated under the new manager and will fancy their chances against this MOL Vidi side. The Hungarian champions (formerly known as Videoton) started their Champions League campaign with an unimpressive 3-2 aggregate win against Luxembourgese side Dudelange, and were heavy underdogs in the next round against Ludogorets. However, Mol Vidi pulled off an upset by winning 1-0 aggregate against their highly fancied opponents. Mol Vidi was pretty lucky, being utterly dominated in a 0-0 draw in Bulgaria and playing 50 minutes with an extra man in Hungary – but still it was a good win. In the domestic league, Vidi has 2 wins and 1 draw after 3 rounds. Bet on Malmo FF v MOL Vidi and claim your 100% (100 Eur) bonus at Ohmbet now! Malmo is the better team here and deserves to be a favorite, but Mol Vidi must be taken very seriously after eliminating Ludogorets, even if they were very lucky to do so. The visitors are a well organized, disciplined side which has a lot of experience (players like Juhasz, Huszti or Lazovic) and can defend very well. Vidi allowed just 3 goals in 6 games this season and is not an easy team to break down. Malmo might have problems creating chances here given Videoton’s defensive abilities and considering that the Hungarians are expected to defend in numbers in this game. Malmo is not exactly the best offensive team out there either. They played two very cagey matches against CFR Cluj in the previous round (1-0 and 1-1) and didn`t even score that much in the first qualifying round against the lowly Drita (3-0, 2-0). Malmo scored more than 2 goals in a match just 3 times all season (21 games). When all is said and done, this looks like it could be a low scoring clash between two disciplined and well organized teams. MOL Vidi will pretty much park the bus and use their defensive qualities to deny Malmo space. The visitors are unlikely to score here. Malmo will pass the ball around waiting to find openings, and with home court advantage they will probably manage to win the game, but scoring more than once or twice seems rather improbable given all the facts presented above. My tip will be under 2,5 goals to be scored. 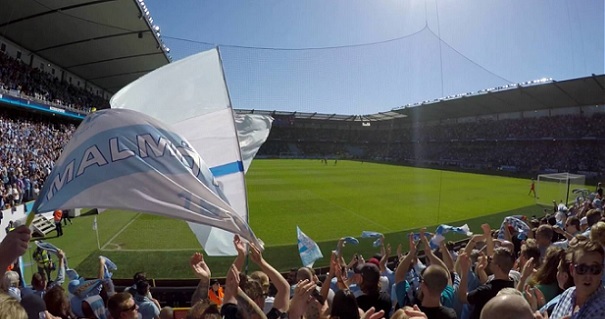 Prediction: Malmo – MOL Vidi 1-0.